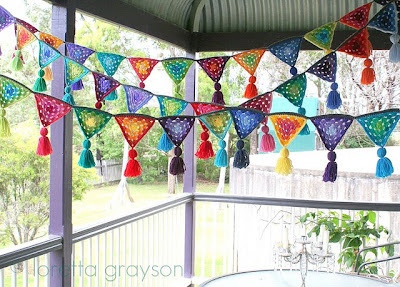 very wonderful granny square style bunting by Loretta from a shoebox full of photographs which I also adore. ...isn't it? Don't you think? It's all that I hoped it would be, full of granny holes and charmingly hearty in shape, plus I needed the picots for a extra cutey cute touch. At last I was in business and production could begin! I set to work and made myself a little stack to be strung together. Originally that was going to be that, pretty hearts on a string but while making them it came to me that they should have a little decoration. So I broke out the buttons, ribbon and beads and let the fun commence! And here it is in my creative and crafty little den. Not the best photo on a dull day, but you get the idea, it's working it's cheerful magic and I makes me smile like a simpleton every time I go upstairs and get a beautiful glimpse. Now, let's get done to business. 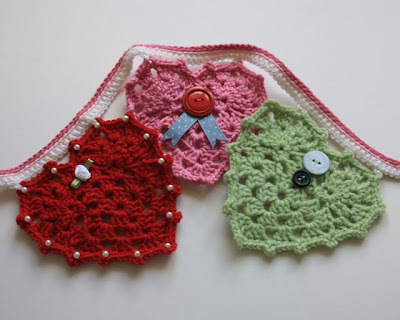 Lets imagine that you quite liked the idea of having your own bunting and you too wanted a granny-ish, heart-ish type shape. 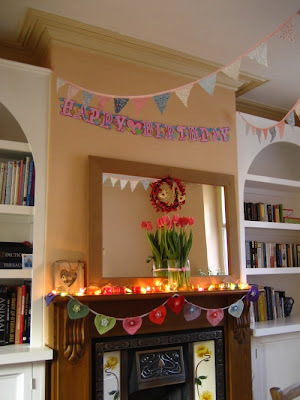 Well, if that scenario does come about then you'll be very pleased to know that I have written up the pattern for your delight and bunting-creating needs! You'll find the download link at the bottom of this post. I'm also providing a tutorial (my first one - wow!) 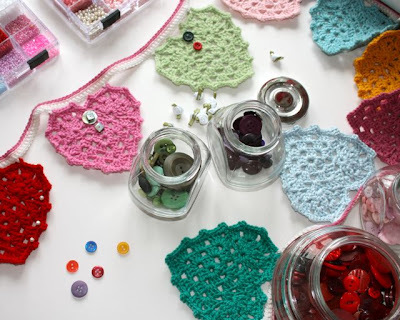 to show, step by step, how to make the hearts. You'll find that in the post below this one by scrolling down a little lower. 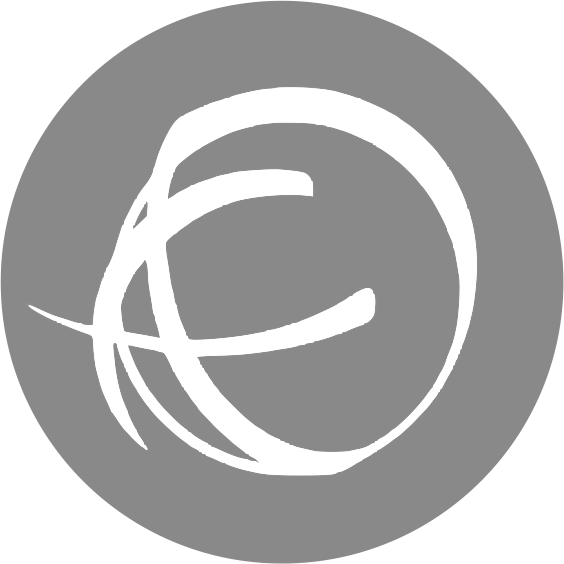 Or, in case you're not reading chronologically and you came to this post through some other link or while browsing or whatever, then you can use this link to jump straight to it now. I'm going to leave you with some slightly closer pictures so you can see the decorative what-nots, in case you'd like any ideas. Super! So now, you've got practically no excuse not to make any! 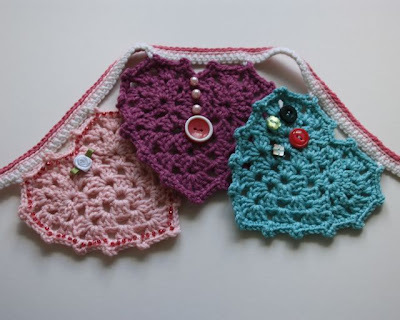 Visit the Cherry Heart Boutique the download the pattern, it's in the crochet section. 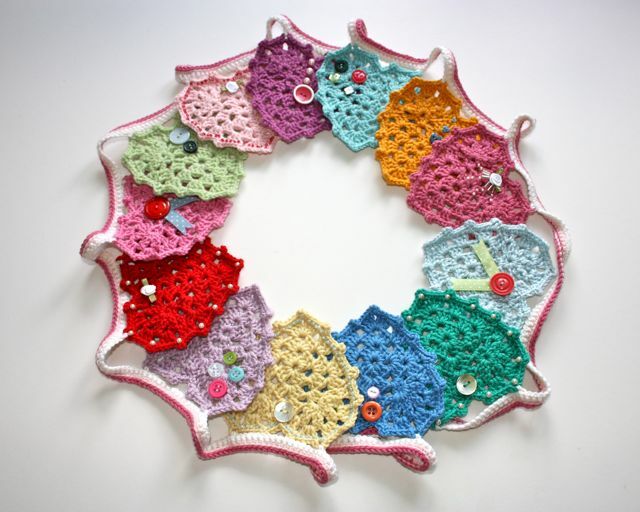 I hope you enjoy the pattern and if I have made a tremendous foul-up anywhere, feel free to contact me! I love these, go you! Thank you so much. I had been struggling to find my next project but you have solved the problem. I love these. Oh do I love these - am going to download the pattern right this minute!! 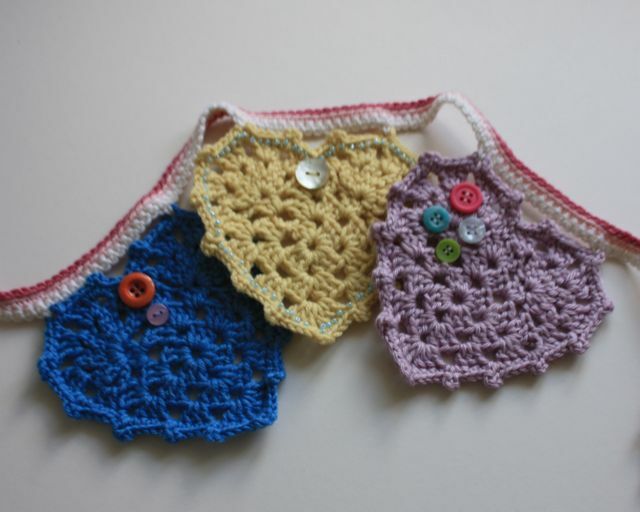 Thanks for sharing - I am new to your blog and am so glad I found you!! 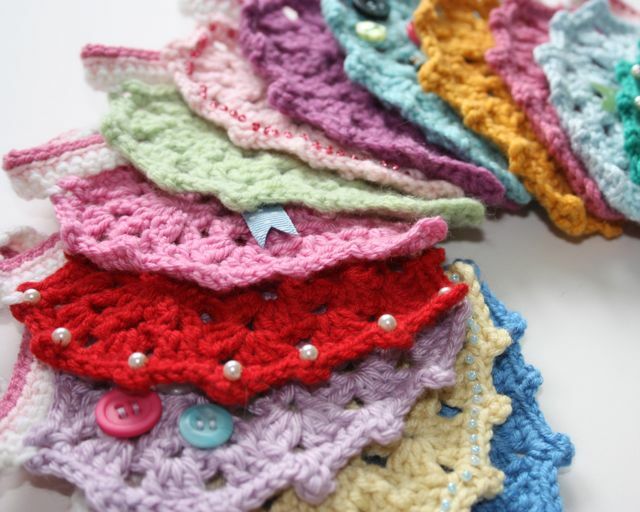 Thanks so much for sharing this great project - I've come over from Ravelry to have a look (I'm the one with all the 'Wow`s'! )and now I'm following you. I, too, am downloading pattern now - hope I can do your bunting justice! These are so pretty and I love the buttons too. I love your hearts , I hope that I can make such a beauty ! I was able to get it from your patterns page, yay! Thanks for sharing your lovely work and patterns with us. Very sweet bunting! Thank you for sharing the pattern. I might make one soon. I love all your work and am really inspired! These are amazing little things. I hope to see a lot of these popping up in blogland. Might have to try them out myself. Have a great day. Oh how adorable these are!! I can't wait to give these a try! Thanks for the pattern! Just cute! Cute! Cute! Thank you for posting this - I love your garland, and will have a go at a heart. Mine always seem to end up very messy, which I posted about this week! So it was lovely to stumble across your tute. These are just TOO CUTE! I love them. I am currently making the triangular one with the tassles on them... but hearts must be next! I love it. This is beutiful, and thank you for sharing. This is beautiful and I adore the colours. 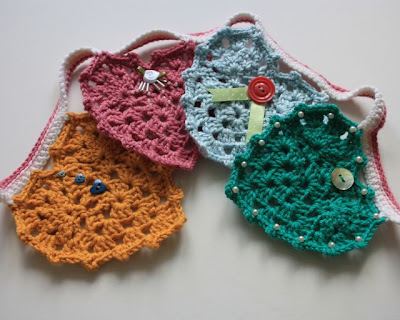 I've been meaning to learn to crochet for some time now so will try giving this a go. Thanks for sharing the tutorial. 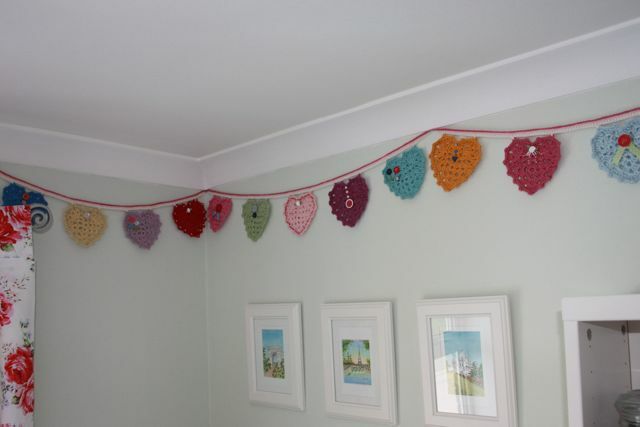 Thanks for the pattern for the hearts bunting. 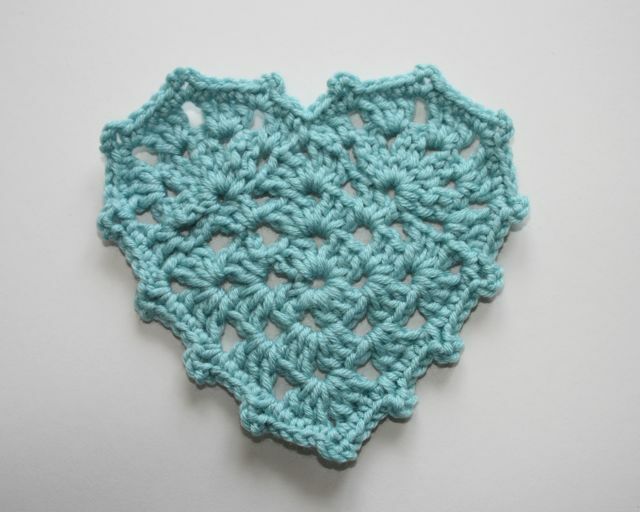 I was wondering if I could have your permission to pin this to my crochet board on Pinterest. I completely love them, thanks for sharing here. Thank you for this heart pattern. It is so pretty. First, I found your tutorial, and I didn't want to print all of that, so I am glad I found the pattern. The tutorial is really written, so thank you, I can refer to that if I have a problem.